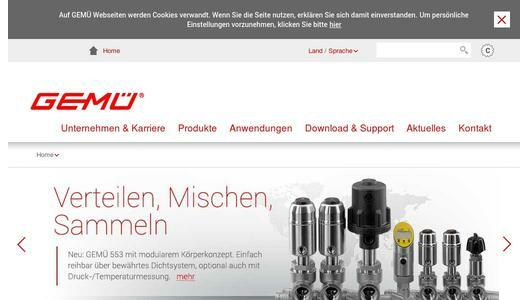 Ingelfingen-based valve specialist GEMÜ has responded to continually increasing demands in the industrial sector by expanding their range, which boasts new developments for its globe valves. "We are in constant, sometimes very close contact with our customers. We received a great deal of feedback as a result of the continually growing demands, predominantly in the industrial sector. 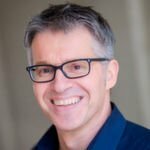 Our response has been to expand our range to meet these demands," says Product Manager in charge, Florian Mugele. The changes concern globe valves from the GEMÜ 530, GEMÜ 532, GEMÜ 534, GEMÜ 536 and GEMÜ 538 series with flanged connections. With the exception of the GEMÜ 536 valve, all the valve types listed are now available with SG iron and cast stainless steel valve bodies up to a nominal size of DN 100. The GEMÜ 536 valve can be ordered in nominal sizes DN 65 to DN 150. Its membrane actuator makes this valve type particularly well suited to control applications. 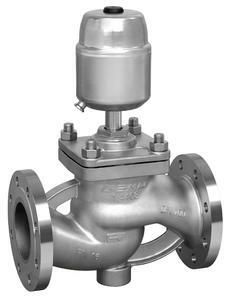 In addition, all control valves in nominal sizes DN 65 to DN 150 will be fitted with a regulating cage as standard. 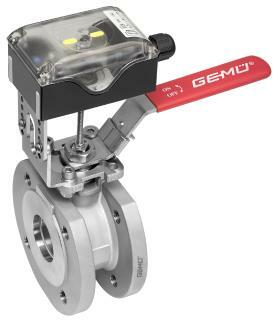 From the series listed, not only can GEMÜ offer its customers globe valves with pneumatically operated actuators in a choice of materials (aluminium, stainless steel or plastic), but it can also offer a motorized version. In addition to the typical "open/close" function, this actuator features either an integrated positioner or a positioner and process controller, depending on the customer's requirements. GEMÜ's range also includes components for all pneumatically operated valve versions – these components are designed specifically to be fitted to these types of valve.